Hello. I recently bought some of the Fiocchi 9mm Extrema line of ammunition in 124 and 147-grain loads. I've not used these particular factory 9mm loads before and folks on-line seem to be interested in them. I checked accuracy, penetration/expansion and chronographed both loads, which were fired from one of my Browning Mk III Hi Powers. This Mk III was used with both loads. It has been used in more than a little chronograph work over the years. No accuracy work has been done on this pistol. It outshoots my capabilities as it came from the factory! Both loads were fired at 15 yards and both grouped very well. When fired into super-saturated newsprint, both bullets expanded as expected. On the left is the expanded 124-gr. XTP and on the right, the 147-gr. The lighter bullet penetrated 6" in the soaked newsprint, which should work out to about 9" in ballistic gelatin. The 147-gr. made an average of 6 1/2" or probably about 9 3/4" in bare gelatin. XTP's usually penetrate a bit better than today's results in my experience with them in similar "informal tests" and in the field on small and medium sized animals. I have seen some conversations concerning why there is no "+P" designation on the 124-gr. load; the long-and-short of it is that it's just not necessary...for obvious reasons. It is for individual shooters to decide if this is suitable defense ammunition. 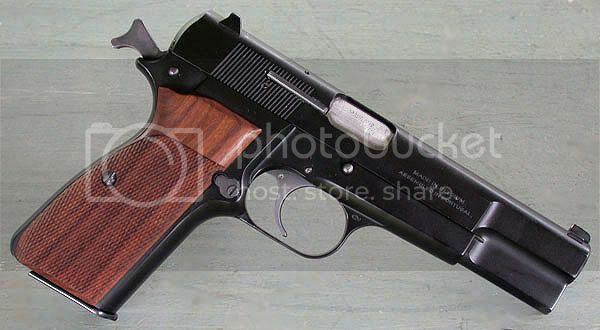 For me, it will used as range or target ammunition since it does have both light felt-recoil and very good accuracy at least from the Mk III Hi Power used today. Thanks for posting this info, Steve. It certainly looked like a possible cheaper alternative to Hornady TAP for carry, but not with those chrono numbers. 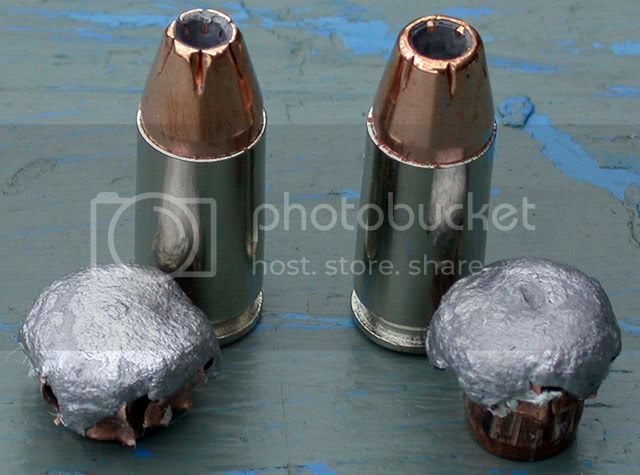 I have better ballistics with handloads out of a Derringer!